Cash dividends are payments made directly to shareholders in proportion to the shares they own. 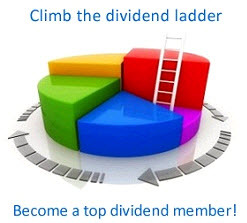 Cash dividends are paid on all outstanding shares of stock. That means no dividends are paid on treasury stock. Cash dividends can be paid monthly, quarterly, semiannually, or annually though most U.S. corporations that pay dividends do so on a quarterly basis. A few companies pay special or extra dividends occasionally—identifying these dividends apart from their regular dividends. If you owned 10,000 shares of General Electric stock during 2001, you would have received cash dividends of $0.64 per share time 100 shares = $6,400. Another way of describing cash dividends is in terms of the percentage of earnings paid out in dividends, referred to as the dividend payout (DPO). General Electric had earnings of $13,684 million of which $6,358 million or 46.5% were paid out to shareholders. General Elec-tric's earnings per share of stock were $13,684 million/9.925 million shares = $1.38.